Established in 1988, the Iron Master forge is located in Aurora, half an hour north of Toronto. Our dedicated craftsmen handle all aspects of your project, from conceptual drawings through final installation. Every job we undertake is 100% guaranteed for life. This warranty covers both labor and materials. We take great satisfaction in our work and so do our customers. 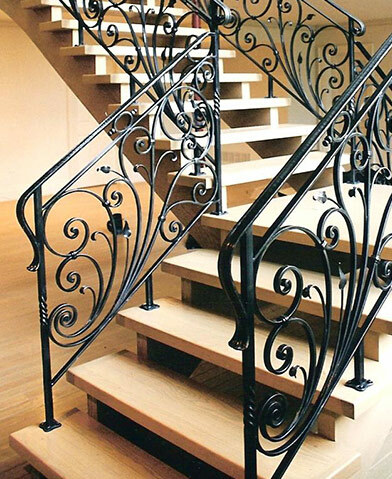 As the hundreds of builders, owners and architects we have worked with over the years will tell you, there is only one genuine wrought iron and only one Iron Master. The strength of steel. The beauty of art.